Leone High School teacher Mikaela Saelua heads to Wellington, New Zealand for the ILGA (International Lesbian, Gay, Bisexual, Trans and Intersex Association) World Conference, March 18-22. 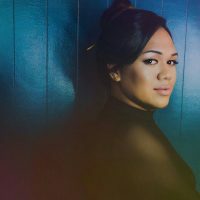 She will be representing SOFIAS, the Sosaiete o Faafafine i Amerika Samoa and has received a full scholarship to cover all costs associated with her attendance. The Alliance for Strengthening families will also be represented. In her application for the scholarship, Mikaela said her main reasons for wanting to attend is to be part of the fellowship that will undoubtedly take place between LGBTQIA people from all over the world. And seeing first hand “how we are the same and how we are different” would be an awesome learning experience. Mikaelua said she is interested in learning how LGBTQIA groups in other culture navigate challenges in their societies and what activism looks like for them. Also, SOFIAS need to secure funding for their projects and she is interested in learning how organizations finance their activities. Mikaela has a Bachelors degree in Political Science from UCLA, where her passion for community work was empowered through education, advocacy and activism. She is currently an English teacher at Leone High School, and hopes to one day become a lawyer and writer.